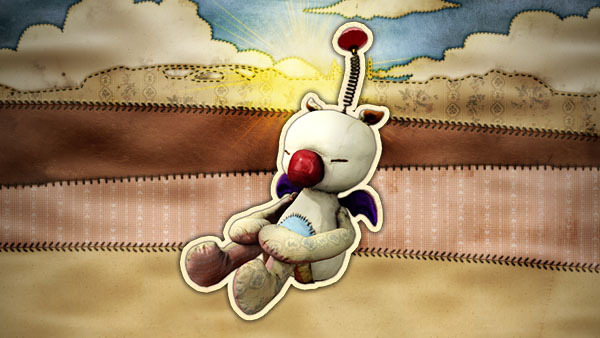 Take Moogle dolls and goods along as lucky charms. The 24-hour countdown for Final Fantasy XV launched yesterday has ended, revealing how Moogles will appear in the upcoming RPG. In Final Fantasy XV, Moogles appear as “Lucky Items.” By taking Moogle dolls and goods along as your lucky charm, you can avoid all kinds of troubles. Maybe a Moogle will help out when Noctis and his friends are in a tight spot. To coincide with the reveal, Square Enix has launched a Moogle Collection campaign that unlocks a new “Moogle Reward” each time the @FFXVJP and @FFXVEN Twitter accounts reach a certain amount of followers. The final reward will be a video of Final Fantasy XV‘s Moogles in action.